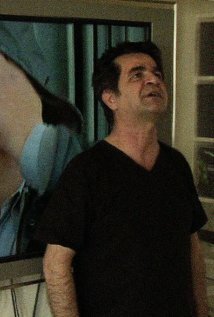 The Iranian director Jafar Panahi’s This is Not a Film begins as a subterfuge. Under a 20 year ban on filmmaking and threatened with a six year prison terms whose appeal is the subject of a telephone conversation with his lawyer during the course of “the effort” as he calls it, Panahi sets out to produce a work of art that is not a film. Without a script, or director (“you're not directing; it’s an offense," his colleague Mojtaba Mirtahmasb cries out) or cast, he reads from a previous script about a once and a future student, a woman who is locked in her house by traditionalist parents as a way of preventing her from attending university. Panahi isn't the first creative individual who has used a ploy to avoid the censors, but This is Not a Film is much more than that. There are constant references to Beckett. “Nothing to be done” is the starting line of Godot. In the film Panahi says “I don’t know what is to be done exactly.” The Unnameable ends with the famous lines “You must go on, I can’t go on, I’ll go on.” And Panahi utters similar words. This is Not a Film starts as being a piece of agitprop and ends with an artistic strategy that is curiously reminiscent of Samuel Beckett’s one screenplay, Film, which begins with an edited version of Bishop Berkeley’s famed quote esse est percipi, "to be is to be perceived." Buster Keaton was the star of Film and Panahi plays the comic role here with his terrain of consciousness narrowing from first taped out areas of an apartment, to a window, to a television screen, an iPhone and finally an elevator in which he is trapped with a custodian, a young student, who picks up the trash. The universe grows smaller and smaller and is inversely proportionate to the enormity of the theme, which is consciousness itself. Amongst the many absurdist touches in the film is the presence of Panahi’s daughter’s pet Iguana. In 20 years when the Iran authorities allow Panahi to make films again, he may want to change the title from This is Not a Film to Day of the Iguana.